Healthcare data is everywhere and more is coming – data from wearables, data from Internet of Things devices, genomic data, and ‘omics’ data more broadly. We are swamped by the wealth of healthcare data we have already – and the volume of data to come is far more than the human brain can deal with. But what is the point of all this information if we cannot cope with it, sort and segment it and ultimately use it to further our understanding of medicine and science? While many are sceptical about blockchain – seeing it as either an over-hyped universal panacea or worse as simply a mechanism for sending cryptocurrencies with a dubious reputation – the promise of distributed ledger technologies as a means of helping us manage healthcare data is real. A blockchain or distributed ledger is a way of securely keeping track – in chronological order – of all the transactions happening on a decentralised network. Participants all have access to an identical, shared history of events that cannot subsequently be changed. You can see it as being a bit like a giant, expanding a Google spreadsheet on the internet that everyone can read and share but no-one can tamper with. This ledger can be trusted as a true and secure record of events and as a kind of reference library for finding where something is or when an activity happened. What blockchains allow us to do is to track a business process in real-time with all the parties in the process being able to see what is going on and being incentivised to trust one another. This means, for example, that we can share confidential information such as healthcare data securely and without the timelags and latency that usually affect current healthcare systems. So where can blockchain be applied in healthcare data? One area where the technology could help is in the arena of drug discovery. The system could, for example, encourage partnerships and collaboration between pharma companies whilst protecting ownership of their intellectual property and ensuring each stakeholder receives their share of the dividends. The creation of the distributed ledger would ensure that everyone knows who owns which aspect of the IP but also that the parties can be incentivised and can be given a ‘stake’ or rewarded in a frictionless manner through the distribution of digital currencies (also known as tokens). 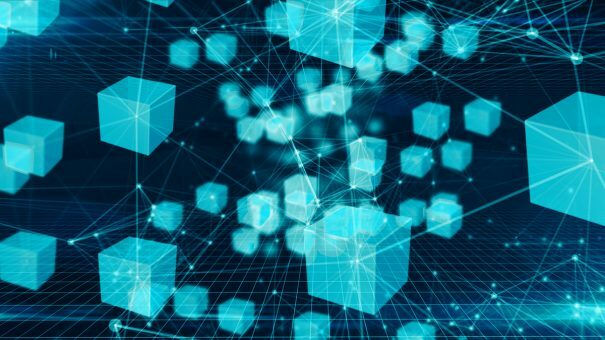 Distributed Ledger Technology (DLT) could also help contribute to scientific research by allowing researchers to publish their findings securely in real time without waiting years to publish – thus getting around some of the problems and delays inherent in the existing scientific peer-review process. Organisations working in this field are looking at ways to recognise and reward researchers for all their scientific contributions – like being able to access and share a kind of lifetime scientific online CV – not simply being recognised just for papers which get published in journals. Another key issue for science and for pharmaceutical companies is gathering robust data sets. Take rare diseases, for example, where there are few patients with a particular condition and they are often located in different parts of the world. Gathering enough patients with comprehensive medical data to conduct research or clinical trials on a specific rare disease is difficult. As emerging technologies ‘converge’, DLT combined with other technologies like AI could help create “data lakes” and deliver new insights into rare diseases. This may accelerate drug discovery and lead to the development of new, more effective personalised treatments, with fewer side effects. From the patient perspective, DLT could be immensely valuable. The prospect of new treatments is exciting but the day-to-day struggle of simply dealing with healthcare needs and the quality of life improvements that could be made are also significant. Currently we know that patients in healthcare systems around the world – even in the most developed countries – are forced to be passive and unempowered. They don’t own their own data and they often end up waiting a long time to get hold of valuable data that relates to their care such as test results, which regularly go missing at great cost to the individual as well as to the healthcare system which has to repeat the process. By creating a personalised healthcare ‘wallet’ which could be stored on a laptop or mobile phone, blockchain can empower patients to take control of their own records. Their health data is anonymised and secure but the patient will have full control over who accesses what, by using special private keys to unlock some, or all, of their data as they see fit. Not only could DLT increase agency for patients but it also opens up a whole world of additional expertise and advice – specialists for second opinions, telemedicine consultations, genetic testing and so on. If they wanted to, patients could even monetise their valuable health data by selling it to pharmaceutical companies – or donating it to scientists – to speed up discovery of new treatments, whilst preserving their anonymity. Patients could even interact anonymously with research institutes and clinical trials, with DLT providing secure linking of trial participants and organisers. Blockchains combined with smart contracts – sets of instructions in which an activity is triggered only when a certain condition is met – open up new possibilities not only for managing our existing systems better and more efficiently but also for creating new incentive structures that were not previously possible. Think of public health goals like smoking cessation, reducing obesity or managing diabetes, which in future could be incentivised under a smart contract. A kind of ‘clinical blockchain’ could monitor test results or healthcare check-ups and trigger automatic financial rewards for weight loss or good blood sugar management by issuing tokens that could be used, for example, for gym membership, massages or other healthy rewards. Technical barriers do remain to using such systems at scale and there is still a lack of understanding of blockchain among senior executives in the healthcare sector as well as among regulators and policymakers, which is slowing down the pace of implementation. Nevertheless, blockchain start-ups in healthcare as well as applications being built for enterprise, are a small but growing segment of the overall blockchain marketplace. If we begin to ask decision makers to think of blockchains not as just another IT solution but more conceptually as an ‘incentive machine’, we can see how future markets and future communities of interest can be created that could help us further a healthier future not just for the healthcare industry but also ultimately for the patients and societies they serve. Helen Disney is CEO of Unblocked, which will be hosting Healthcare Unblocked 2018 on 9 Nov in London looking further at blockchain applications in healthcare.